Does anyone have more information on these spark plugs? I know for a time they were selling plugs made by Brisk. After a little research, I have found a couple instances of their plugs failing in the M156. 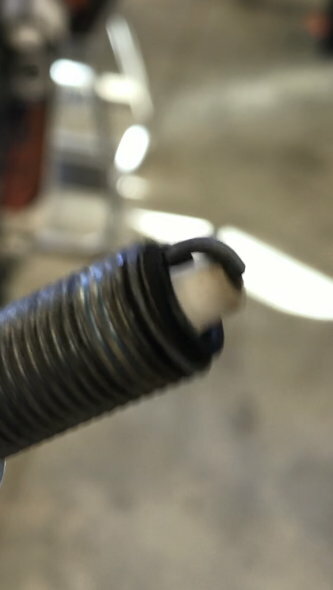 The porcelain breaks loose from inside of the spark plug which is a concerning failure. I have this seen this on several OEM spark plugs on direct injected Mercedes Benz engines, but never on an M156. I found multiple instances of their plugs failing in this same way on the M157, but the OEM plugs fail in the same fashion. I’ve run at least 6 sets and never had a problem with any of them. I just received an E mail from their sales department stating they are now an NGK spark plug due to the issues they were having with Brisk. I ordered a set and will compare them with the stock plug. I'm assuming it is just a colder plug then stock. Last edited by layzie12g; 10-15-2018 at 07:45 PM. You mean like this? This happened to my brisk plug this past Thursday on my Weistec stage 2 507. Plugs were properly inspected and torqued with a torque wrench when installed. These plugs had less than 500 miles on them. I heard the plug come loose while idling just after a cold start. The car stumbled really bad and almost killed and then had an intermittent miss. Thankfully the ground strap kept the porcelan from falling into the cylinder. The little piece just slides up and down on the electrode if you shake the plug. I ordered some NGK LKAR8A-9 (4786) per member "roadtalontsi". I will be installing the NGK this week. Last edited by immelman; 10-15-2018 at 08:20 PM. I concur! This is with Wiestec's canned Stage 2 tune and 93 Octane Chevron fuel from a fairly new fuel station that I regularly get gas for all my hot rods. No signs of speckling or detonation on any of the plugs. But hey, don't panic. Maybe it's just due to the added cylinder pressure of the S/C cars. I know another C63 owner that ran the brisk plugs N/A and he never had a problem. It happens to the OEM plugs on the newer DI motors, I've seen it on several 274's and occasionally in the 276/278 cars. Never seen one on a 156 but they don't come in nearly as much as they are falling out of warranty and going to Indy shops more. We do not use the Brisk plugs any longer for this reason. The new plug we use is an NGK unit, and we have not seen any failures as of yet.